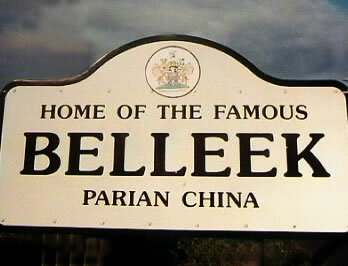 The Belleek Collectors International Society holds a bi-annual convention. 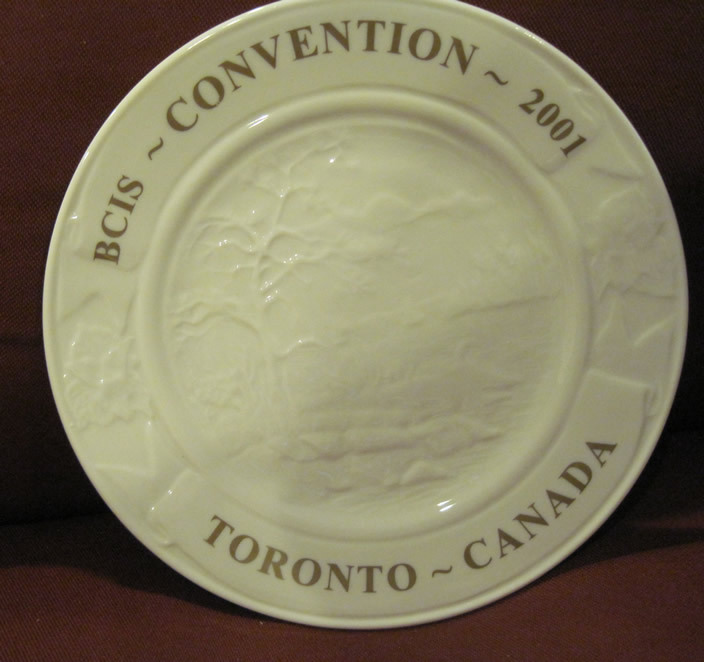 Generally, our conventions are based in America, but during 2001 Belleek Collectors made the journey to Canada. 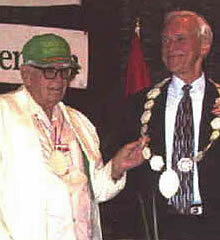 The 2001 convention was held in Toronto during July 2001 and was hosted by the Trillium Chapter who put together another truly wonderful international convention to follow on from Washington DC.. Fred Gary, our first Belleek collectors honoree welcomed everyone to a cheese and wine reception during the evening and officially opened the convention. What then followed was two wonderful action packed days of talks and discussions on Belleek. As usual, a special commemorative plate was crafted for the event. the 2001 plate was produced in very limited numbers and after the original mould was broken at the closing ceremony, the 350 plates produced were guaranteed to become collectors pieces. Our honoree Don Campbell was inducted into the hall of fame at a ceremony which included standing on the ceremonial Honoree flagstone brought over to the convention from Belleek for Don to receive his well-deserved chain of office. During the convention, four of the Trillium Chapter dressed as Mounties for one of the events. The UK Collectors Group is an officially recognised chapter of the Belleek Collectors' Intnl Society. Est 1989. thanks to Belleek collectors society for images from 2001 Belleek collector publication.